Eye Exam in Ironton, OH | Ironton Vision Center Inc.
Providing Exceptional Care to Ironton, OH and the Neighboring Communities! 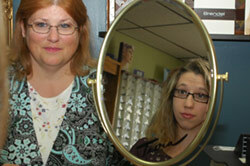 At Ironton Vision Center we offer affordable, quality care to you and your entire family! With a warm and welcoming environment, our patients feel comfortable and can ask any questions they may have about their treatment. Below you will find our new patient forms. Feel free to print out and complete the forms before your first visit with us. While we do not require that you complete this paperwork prior to visiting our practice, this will save you and our staff time when you come in for your appointment. 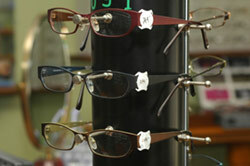 We accept most major medical insurances, as well as vision plans, as well as most Ohio Medicaid. For those that do not have insurance, we accept other forms of payment such as cash and most major credit cards. If you have any questions or concerns about the services we offer, please give us a call today!